To read recent stories on the race for the House, click here 1. Last updated Nov. 7, 2016. Final outlook: Democratic gain of 13, short of the 30 net seats they need to gain to win the House. Note: Districts are shaded by the color of the party that currently holds them, red for Republican and blue for Democratic. 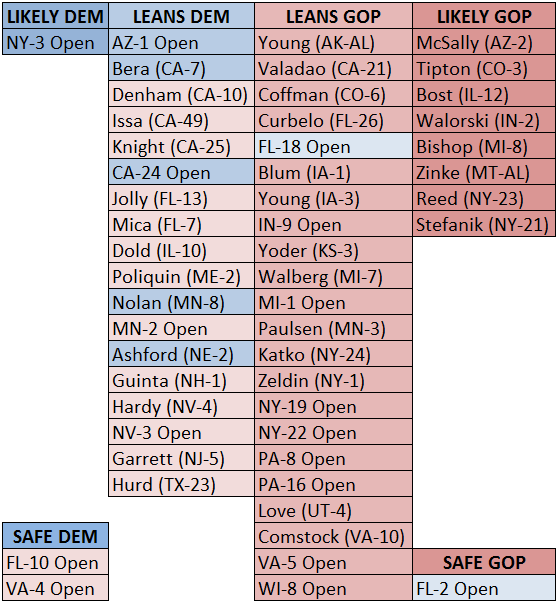 Seats not listed are safe for the incumbent party.